For three generations, Midwest Timer Service has manufactured high quality, reliable electromechanical timers for OEM markets. We have earned our reputation as a leader in the industry by working closely with original equipment manufacturers to produce timers that exceed their expectations, enhancing the performance of their products. The MTS engineering, manufacturing, service, and management staffs boast a long history of experience in the appliance and other industries, with a knowledge base developed over the past six decades. As a family-owned company, our owners are involved in every project. MTS has the flexibility to adjust to market changes and has a proven track record of manufacturing innovative custom products to meet the changing demands of the market. Our product line also includes OEM synchronous motors and we are licensed by Nidec Motor Corporation (formerly Emerson Appliance Controls) to produce all Mallory-designed electromechanical timers and synchronous motors. MTS is recognized by UL and CSA to manufacture timers for all Mallory timer styles. The cornerstone of our success has been our commitment to manufacture products of the highest quality, supported by superior customer service, competitive prices and on-time delivery. We understand that quality and reliability of the components manufacturers use in their products is critical to the performance of the end product and work closely with each client to ensure that our products meet or exceed expectations. We know that just being good is not enough, which is why we continuously try to identify areas where we can add value or improvement from our customer's perspective. Contact Midwest Timer today to see how we can help you. 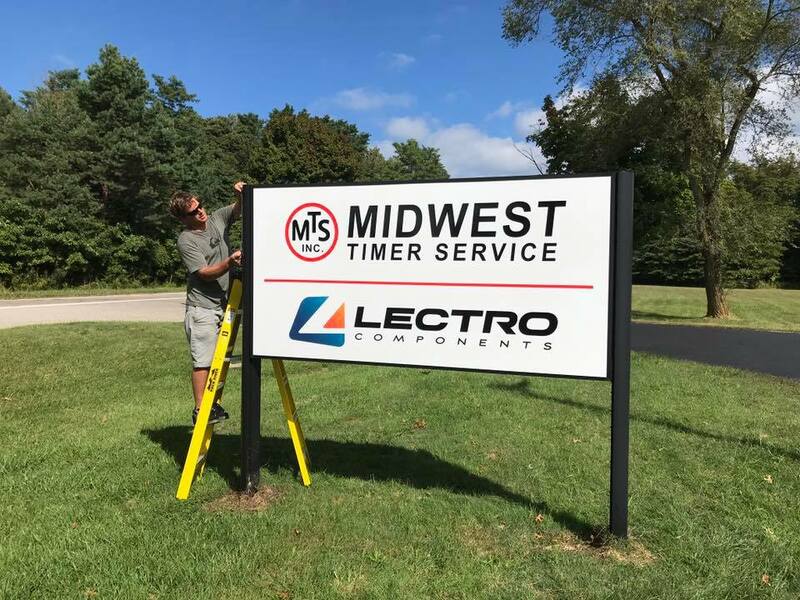 Lectro Components is an electrical distribution company that we purchased last December and recently moved to Benton Harbor!